With three races down and just one left to go in the Gnar Runners 2018 season, there are 11 runners remaining in the 2018 Gnar Slam standings. And there is pressure being put on both the men’s and women’s overall records. 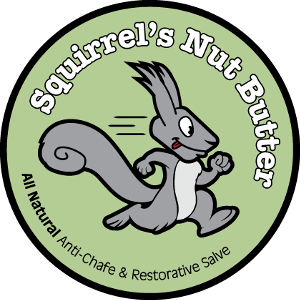 After winning the sixth running of the Black Squirrel Trail Half Marathon on September 8, Frank Pipp has consolidated his place at the top of the 2018 standings with a current cumulative time of 21:51:40. 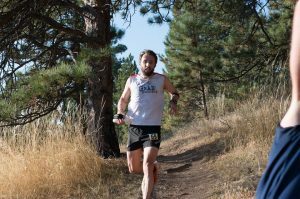 The overall four-race record, set by Elijah Flenner in 2016, stands at 27:14:14, which means Frank would need to finish the Blue Sky Trail Marathon in under 5:22:34 to claim a new cumulative Gnar Slam best. In the points standings, Frank has all but clinched the 2018 Gnar Slam title. Clint Anders would need an overall win at Blue Sky and Frank would need to finish with less than 70 points (~4:40:00) to lose his lead. The women’s standings are currently topped by Gnar Team member Colleen Weitzel who has a three-race cumulative time of 32:08:41. 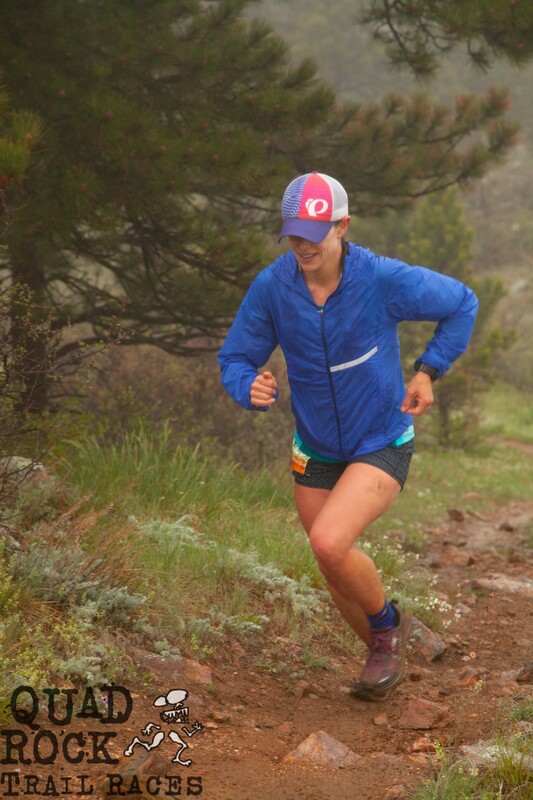 To better Kristen Kovatch‘s record-setting time from last year (37:33:51), Colleen will need to run 5:25:09 or faster at next month’s Blue Sky Trail Marathon. 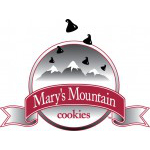 In this year’s standings, Colleen has less than a 16 point lead on second place Tina Duncan, which equates to an approximately 45 minute spread for Blue Sky. Tina and Colleen were neck and neck at the Black Squirrel Half with Colleen edging Tina out by less than a minute. Tina has a faster Blue Sky PR (4:42:21) than Colleen (4:56:56), but can she beat her by more than 45 minutes to take the overall win in the 2018 Gnar Slam? Anything can happen. Shari Green rounds out our women’s field of Gnar Slammers. Among our other male Slammers, Ed Delosh and Rob Broomfield are on track to repeat their 2017 Slam finishes, both with a shot at going quicker than last year. 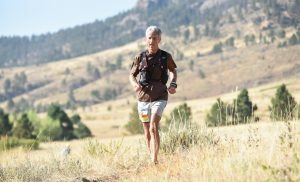 At the age of 66, Ivan Rezucha will become our oldest ever Gnar Slammer with a Blue Sky Trail Marathon finish. Ivan Rezucha & Ed Delosh at the Black Squirrel Half Marathon. For current and historical standings for all runners, check out the Gnar Slam page. The Gnar Slam is recognition of those runners that complete all Gnar Runners trail running events in one calendar year. 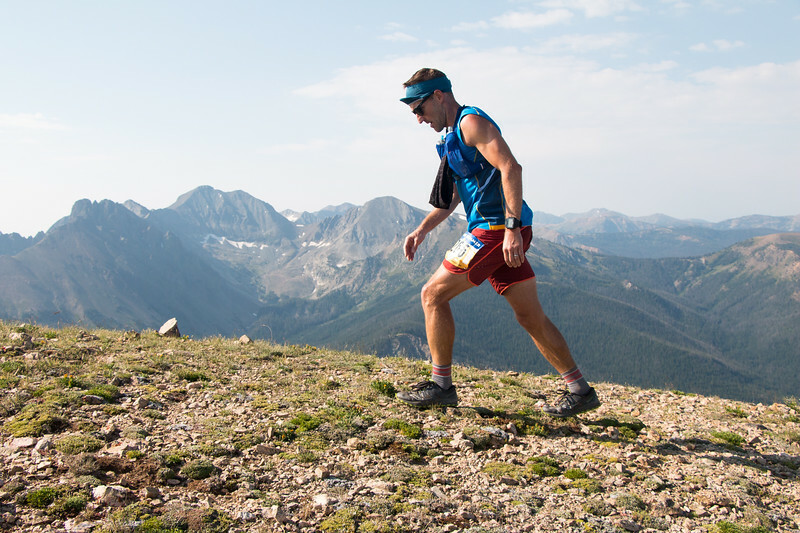 All finishers will receive a commemorative award plus free entry into the 2019 Quad Rock.